Victoria’s Most Haunted: Ghost Stories from BC’s Historic Capital City, by Ian Gibbs. Touchwood Editions, Victoria, 2017. Prepare to be thoroughly entertained and perhaps even frightened by this collection of ghost stories set in Victoria, BC. Few Canadian cities provide such a haunting atmosphere as the island capital, with its rich history and “Victorian gothic” buildings. Ian Gibbs, a resident and “Ghostly Walks” tour guide, has gathered new and well-worn tales for this book, spinning concise, lively and well-written ghost stories. The full book review is in BC History magazine, Fall, 2017. Blood, Sweat and Fear: The Story of Inspector Vance, Vancouver’s First Forensic Investigator, by Eve Lazarus. Arsenal Pulp Press, Vancouver, 2017. Following Eve Lazarus’ last true crime book, Cold Case Vancouver, the author once again delivers a riveting account, this time featuring the criminal cases of an unheralded pioneer in police forensics. Inspector John F.C.B. Vance began his career as an ‘analyst’ with the Vancouver police department in 1907 and over the ensuing years, established a reputation as Canada’s “Sherlock Holmes.” Newspapers and magazines applauded his scientifically-based work, but when Vance retired in 1949, he faded from public view. That is until Lazarus came across old newspaper articles about this intriguing man. With the co-operation of Vance’s heirs, the author gained access to files he kept after retirement, along with photographs and pieces of evidence. 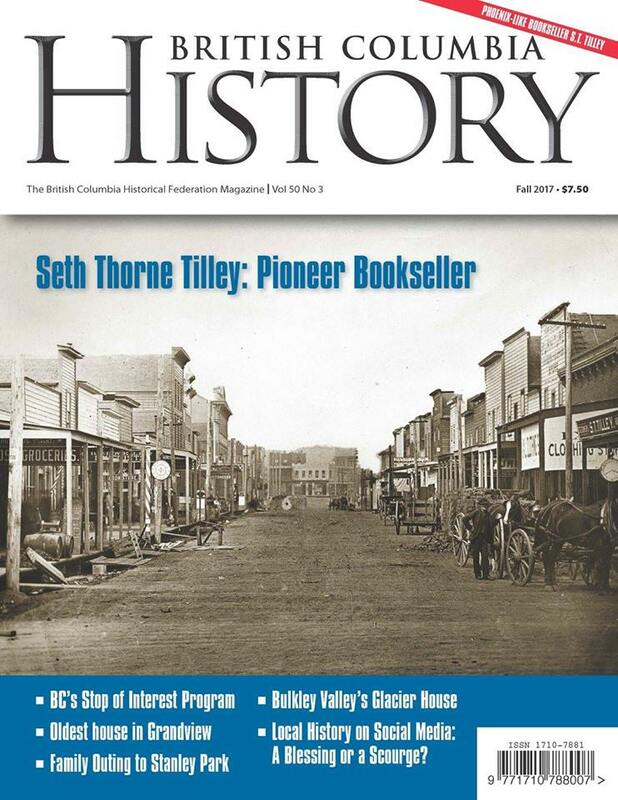 The full book review is in BC History magazine, Fall, 2017.. This entry was posted on August 22, 2017 at 5:42 am and is filed under Book Reviews. You can follow any responses to this entry through the RSS 2.0 feed. You can leave a response, or trackback from your own site.